While there are many potential causes of sexual problems that can range from stress to medical and prescription side effects, there are just as many strategies and treatments for overcoming them. These include certain measures you can adopt on your own, counseling for you and your partner, and various prescription therapies or resources that your healthcare provider can direct you to. These types of interventions have been shown to be both safe and effective in people of all ages. Whether you are a man or a woman, sexual health problems can affect people physically and emotionally, decreasing interest in sexual activity as well as self-confidence. 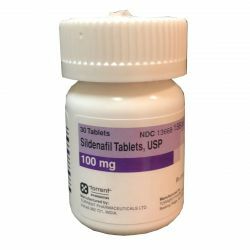 CareFirst Specialty Pharmacy offers many specifically compounded medication treatments for sexual problems like helping improve libido and desire as prescribing options for doctors. It is rare that one problem has a single solution and it is often best to combine medications with counseling and/or self-help measures that won’t benefit from other treatments or actions. It is also very common for women to experience more than one type of sexual dysfunction, and therapies often overlap among various sexual problems.